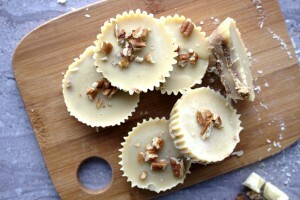 White Chocolate Almond Butter Cups - Delicious and healthy dessert! 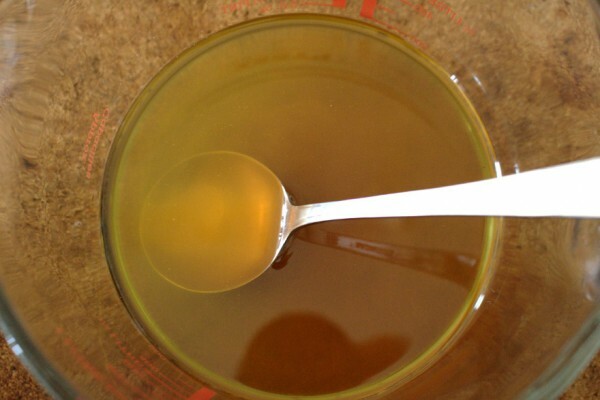 GLUTEN-FREE, GRAIN-FREE, DAIRY-FREE, REFINED SUGAR-FREE, SPECIFIC CARBOHYDRATE DIET (SCD), PALEO. 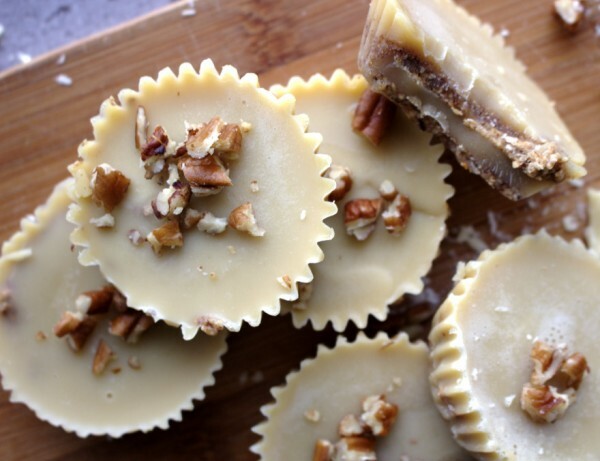 These White Chocolate Almond Butter Cups taste every bit as good as they look. There are quite addictive, I should warn you of that. I find it difficult to stop after just one. My daughter loves them too. She doesn’t know what they’re called but refers to them as “those yummy things we made together”. These are similar to my other white chocolate cups and my fudge recipes which I keep in the freezer. This means you can make a big batch of them and you don’t have to worry about them going off. Not that they will last that long anyway! I often measure success of a recipe by the reaction of my family and friends. If I think they’re delicious I’m happy. However, I also know that my taste buds have changed a lot since beginning the Specific Carbohydrate Diet (SCD). If my family and friends, who can eat what they like, think my recipes are tasty I take that as a win. Although I love that my family loves these white chocolate almond butter cups, I do admit to hiding them at the back of the freezer for fear they might all “disappear” too quickly. There is something special about the marriage of white chocolate and almond butter. If you haven’t tried this combination, you need to! Cocoa powder isn’t legal on the SCD but these white chocolate cups are made using raw cacao butter which is allowed. I never considered myself to have a sweet tooth before but since beginning SCD, I always have legal snacks and treats on hand. I definitely never feel deprived in any way. Of course sometimes I get cravings for sugar-laden and high carbohydrate foods but I have so many nice things that I can eat, it never gets me down. 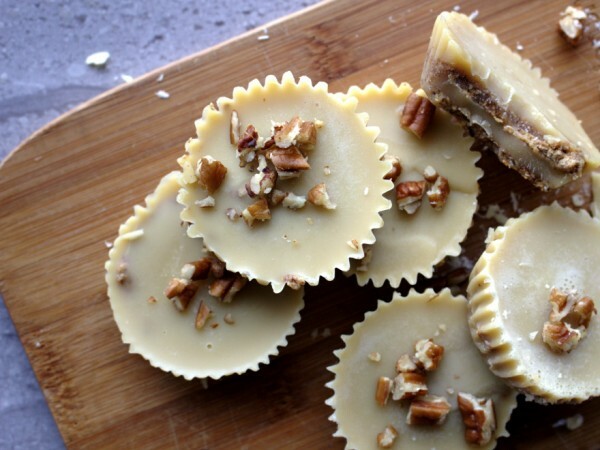 These white chocolate almond butter cups are really easy to make. They are also quick but require time to set in the freezer as you make them. Believe me, the only difficult part of this recipe is the waiting! You make them by first making a white chocolate layer, then an almond butter layer, then another white chocolate layer. In the recipe below I give the ingredients for both layers. So for the white chocolate layer, you will need double these ingredients but keep them separate. This is because you will do one layer then freeze it. Then you will do the almond butter layer and freeze again. Finally, you will finish with another white chocolate layer. Don’t be tempted to try to prepare both white chocolate layers at once because the cacao butter will set. You need to prepare each layer just when you are ready to use it. Sounds messy but it’s not I promise! Delicious white chocolate and almond butter cups. A snack that is truly tasty and healthy too. Gluten-free, grain-free, dairy-free and refined sugar-free. Paleo and Specific Carbohydrate Diet-friendly. For the first chocolate layer (The second white chocolate layer is the same ingredients and quantities but keep them separate). 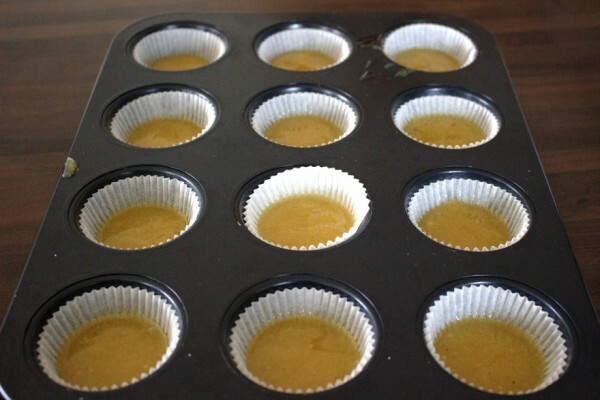 Prepare the tray by placing paper muffin cases in a muffin tray. Next, add hot water to a small saucepan and place on a low heat. 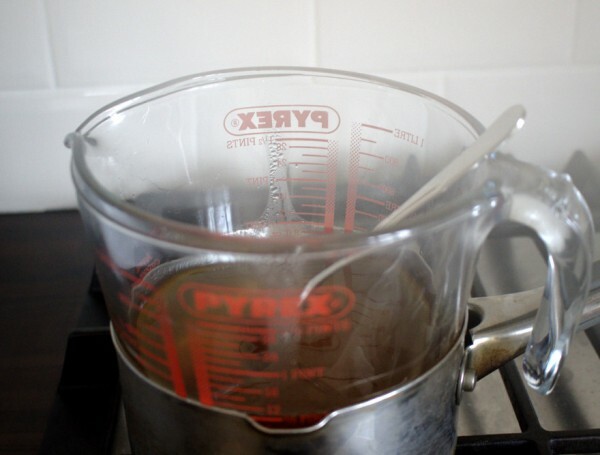 Add the cacao butter to a heat-proof glass bowl or jug that will fit into the saucepan. Continue to heat until all the cacao butter is melted. Once melted, remove the cacao butter from the heat. Add all the other ingredients for the white chocolate layer to the melted cacao butter and mix using an electric mixer at high speed for a few minutes. Add the mixture to the muffin cases. Only fill about one quarter full. Freeze for at least two hours until well set. Next, spoon a thin layer on almond butter onto each white chocolate cup. Spread out as evenly as possible. Freeze for two hours. Remove and repeat the steps 1-5 again to make another white chocolate layer. Freeze again for two hours. Then, enjoy! Decorate with some broken pecan pieces if desired. Thank you for amazing recipes and suggestions. I’ve been on SCD for 6 months with success. This looks amazing and I can’t wait to try the cacao butter. Would u please tell me which brand of cacao butter you used? Hi Jane, Thank you so much! Glad to hear that you are doing so well on SCD. These are still my favourite treat of all time! 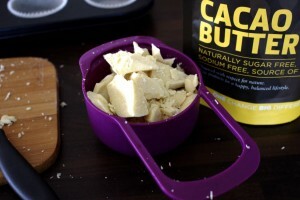 I buy cacao butter from my local health store in Ireland. It really doesn’t matter what brand you use once it is 100% cacao butter. Make sure it is the food grade one. I’ve heard lots of people saying they buy it on Amazon. Best of luck!